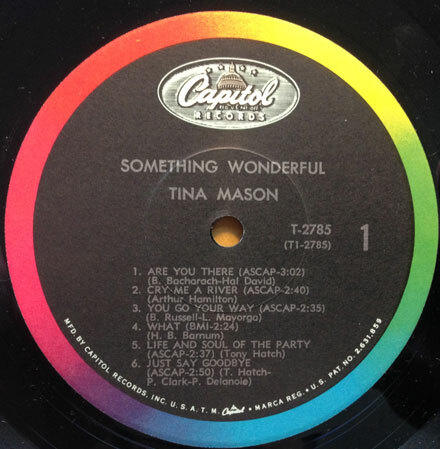 The record I bring you today is an unfamiliar version of a very familiar song, that also happens to be one of my favorites. I wrote a few years back about my deep and abiding love for Peggy Lee’s version of ‘Is That All There Is’, a record that drilled its way into my ears when I was a child and was the root of so much musical growth over the years. The version by Leslie Uggams predates Lee’s hit by a year, and comes from a very interesting album indeed. As you know, I am also a devotee of Leiber and Stoller, and when I found out that they had done an album with Leslie Uggams in the late 60s, I set out to find a copy. Uggams had already had been appearing on TV since she was a child, and was on the verge of her own TV series when she went into the studio with L&S. 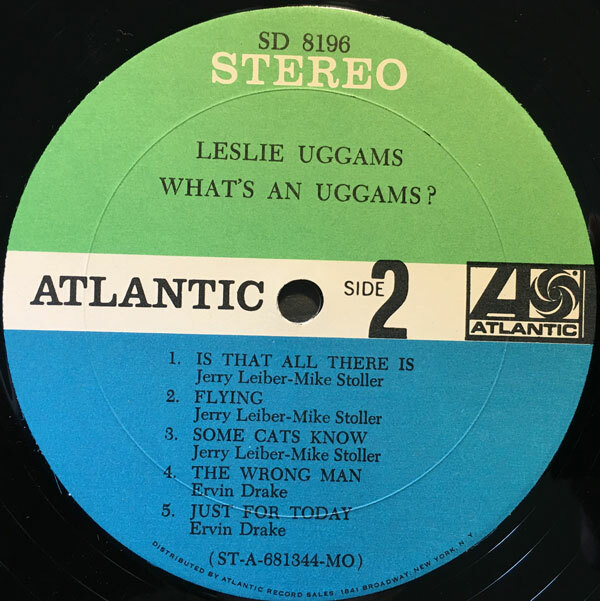 ‘What’s an Uggams’ is an interesting, sophisticated pop LP, flirting with soul in places, but sounding as if L&S were trying to emulate Burt Bacharach and Hal David (in fact, Uggams covers no less than four B&D songs on the album). ‘Is That All There Is’ is one of the most unusual L&S tunes. It sounds nothing like the work of the guys that created R&B masterworks for the Coasters, leaning more in the direction of cabaret. Uggam’s version runs closer to the arrangement of the odd, original recording by New York DJ Dan Daniels than it does to the epic reading by Peggy Lee, but even with the sprightly musical backing, the song doesn’t lose much of its bittersweet edge. 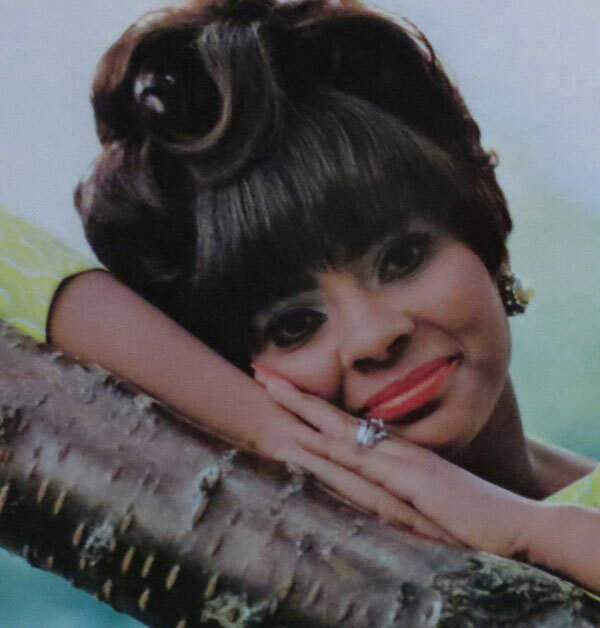 Uggams still speaks the verses over a great arrangement by Pat Williams which incorporates banjo and tack piano with lush horns and strings. The album as a whole makes for great listening. This month I have a very groovy collection of new and recent arrivals, going in all directions at once, treading on the borders of prog, digging into beat, psych, freakbeat, popsike, and baroque pop. There are some very groovy things herein, as well as what I hope will be some surprises. Return of the Au Go Go Mixes! 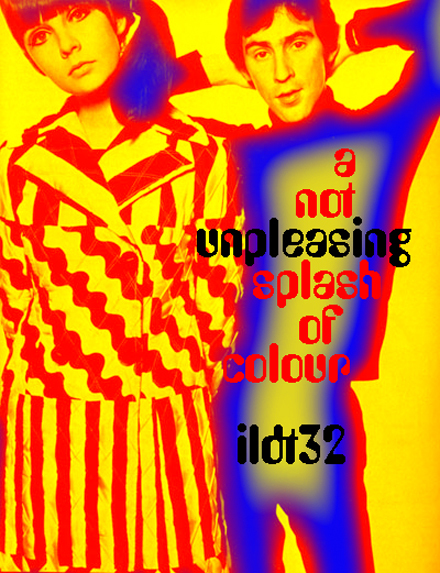 This week sees the return (by special request) of two of my favorite Iron Leg Digital Trip mixes, #5 and #32, aka The Au Go Go Mixes. The yearly Funky16Corners Pledge Drive is underway, and since Iron Leg is an important part of the Funky16Corners Blogcasting Network, and depends on the same paid storage space in which to function, I thought it made sense to tie this blog in with the goings on at that (blog). If you dig what we do here (or there,or in both places) fall by Funky16Corners, click on the Paypal button and drop a coin (or two) in the jukebox (as it were).